It is always reassuring when you get confirmation that you are on the right track and it’s even sweeter when you find you are ahead of the curve. 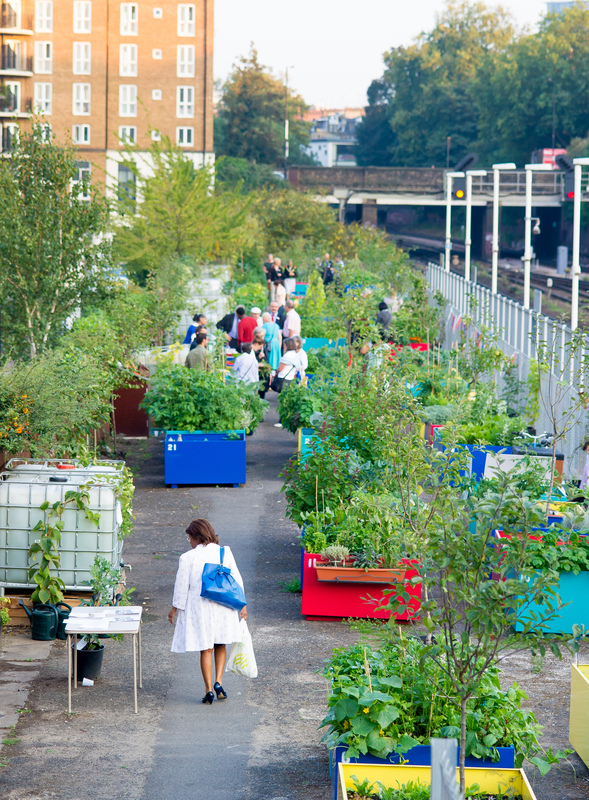 I experienced the latter recently when I read a report from the Journal of Public Health which advised councils to provide allotment space for people living in cities and towns – as just half an hour at the allotment can provide significant health benefits. Now before you think that’s a very tall order for a small densely populated borough in the centre of London let me tell you that for the past six years the Council has been creating – what some residents term – ‘aplotments’ on unused scraps of land with the result that we now have some 64 community gardens, over 400 plots and well over 1,000 residents enjoying gardening regularly. It all started back in the summer of 2009 when I was Cabinet Member for the Environment and we identified eight sites, which were neglected in North Kensington that could be turned into community gardens. 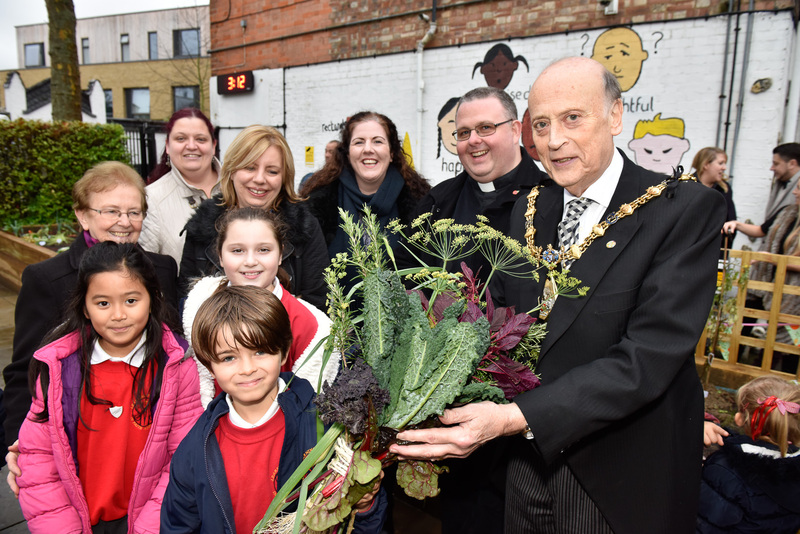 Our aim was to take derelict sites and create spaces where residents could grow and enjoy their own fruit and veg and in so doing also help the climate by combating food miles. The first site was a disused tennis court at St Quentin’s Garden off St Mark’s Road. Any local resident could apply for a plot the only stipulation was that they live in the ward or an adjoining ward. The Council installed the raised planters to create the aplotments and employed two part-time gardeners to run workshops and provide advice and encouragement to the newbie gardeners and the scheme just took off. Bar one or two disasters when some over enthusiastic gardeners neglected to plant raspberries in containers with the result that their whole plot was taken over by raspberry runners the scheme has been really successful. And community gardens are now thriving, the length and breadth of the borough. And along the way we’ve picked up plaudits. The first seal of approval was from HRH Prince Charles who invited our St Quentin Gardeners to showcase their work at Clarence House as an example of the small steps that can be taken to build a more sustainable future. London in Bloom has also recognised their value, this year ten of the gardens received awards in the “It’s your neighbourhood” category. While gardens at St Charles Kitchen Garden and Chelsea & Westminster Hospital Garden were recently named as winners of the Brighter Kensington and Chelsea Scheme. Over the years people have formed friendships and residents that have lived near each other for years but never spoke have become friends. Communities have formed and thrived as neighbours swap tips and seedlings. And according to the earlier mentioned report in the Journal of Public Health our residents are also reaping numerous health benefits. The research by the universities of Westminster and Essex found that just half an hour of allotment gardening yields numerous physical and mental health benefits. The study of 269 people – half allotment gardeners and half non-gardeners – found that the gardening group experienced reduced feelings of tension, depression, anger and confusion compared with the non-gardeners and also had fewer weight problems. I’m happy to say that we are not resting on our laurels – we have plans next year to open between five and 10 new gardens. And we are also encouraging the next generation of gardeners. Thanks to generous funding from colleagues in Public Health we have created kitchen gardens in four primary schools and are supporting gardening projects in an additional 10 schools.